Since its opening in 2004, The Spotted Pig has established itself as a veritable New York City hot spot. The West Village gastropub's reputation is on the rise: Last year, it won a Michelin star, a James Beard award and, perhaps most importantly, Kanye West's heart. Because The Spotted Pig has become a tourist destination, many diners' initial interactions with the restaurant take place online. Visitors to thespottedpig.com will find a rotation of shifting high-resolution photographs, one of which shows off the restaurant's famous $21 chargrilled burger in a juicy close-up. The site conveys important information -- location, hours and a phone number are featured prominently, as are frequently asked questions – in a visually appealing way that expresses the restaurant's high-end yet relaxed atmosphere while also making you hungry. This is what a restaurant website should do – namely, serve as an extension of its brick-and-mortar presence – and yet so many miss the mark, says Krystle Mobayeni. For years, Mobayeni ran her own web design agency. Clients included Rent the Runway, Sailor Jerry, the School of the Visual Arts, plus a few restaurants, such as David Chang's Momofuku. While companies in other industries usually had a good handle on their web presence, Mobayeni noticed that the restaurants were struggling. There wasn't a good platform that anticipated their needs and gave them an easy way to present themselves on the web, and so often, their sites suffered for it. In 2013, Mobayeni cofounded BentoBox a platform tailored to help restaurants easily create websites that are a reflection of their physical locations. First, BentoBox collects all the existing online information about a restaurant – the menu, the logo, any available design elements – organizes it into one of several design templates and then adds a lightly personalized touch. Unlike general-purpose web builders like Squarespace, BentoBox is set up to anticipate restaurant's online needs – from social integrations, to seamless reservation and call buttons, to features such as newsletters and gift cards – before they do. The service costs $49 a month for a pro plan, $99 a month for a premium plan. BentoBox has about 100 clients, mostly in New York City, including big name restaurants such as Parm, The Meatball Shop, The Smile, The Breslin, Jeffrey's Grocery and Dirty French. 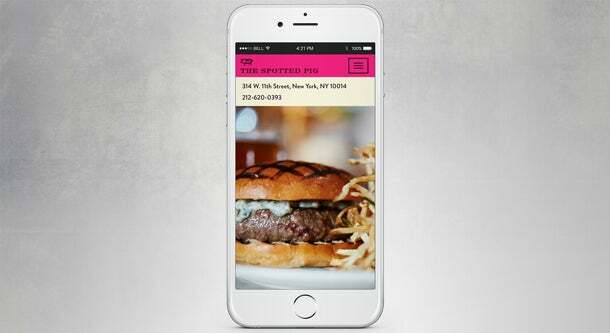 Now, having graduated from Techstars New York City's three-month accelerator program, the startup has its sights on putting an end to ugly restaurant websites everywhere. A few weeks ago, BentoBox participated in Techstars' Demo Day, joining the other Techstars startups in delivering rapid-fire pitches to an auditorium packed with investors. All five team members were there: Mobayeni, her co-founder and CTO Pierre Drescher (the two met at a co-working space in 2013), operations and account manager Betsy Chen, Brian Cotlove, a recent hire and full-time salesperson who previously worked at Groupon, and Cindy Liu, a part-time intern and sophomore at Columbia University. After taking the stage, Mobayeni quickly launched into the company's numbers: 100-plus restaurants in seven cities, 30 percent month-over-month growth in the last four months, $200,000 in revenue over the last year. At the end of the session, she was approached by Bre Pattis, a co-founder of 3-D printer manufacturer MakerBot, interested in discussing a potential investment. "I wasn't expecting that,” Mobayeni says. “At the stage that we're at, those are the best types: somebody who has been a founder, who understands it, who has been successful." 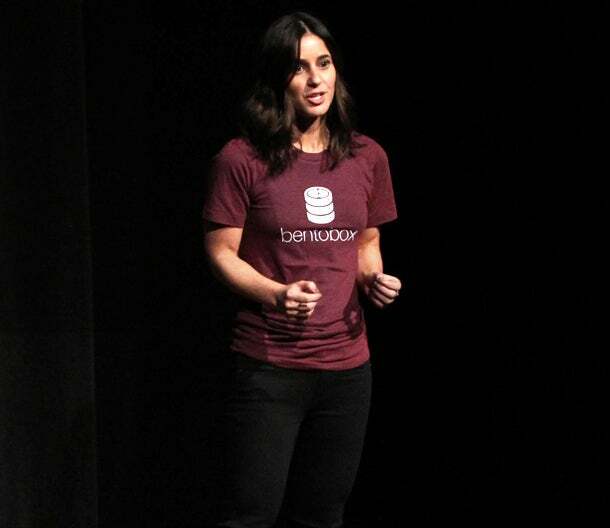 BentoBox is in the process of closing a $750,000 seed round. While BentoBox's network includes a few smaller establishments outside of New York, such as an ice-cream shop in Boston and a catering service in Florida, most of its clients are trendy, two- and three-star restaurants in the city with a particular 'foodie' reputation (a term Mobayeni hates, incidentally) that have come via referrals. It helps that the city's restaurant scene is a tight-knit community. "It’s uncanny how many chefs and restaurateurs have worked with the same handful of people," New York Magazine recently declared. "People move in herds," agrees Drescher. The real challenge and main objective is now to expand to similar style restaurants outside New York City, where 80 percent of BentoBox's clients are located. With Techstars' $118,000 seed investment – until BentoBox joined the accelerator, it was run "purely through bootstrapping," Drescher says – the company was able to hire Cotlove, whose job is to push into new cities. "We're thinking Chicago or Seattle. We are doing a lot of work in D.C.," he says. As in New York, the strategy is to make connections with high-end restaurants, which will hopefully set off a "trickle-down effect." The end goal potentially includes building something beyond a website hosting platform, using the data and content it collects from restaurants to create original content. "When a menu changes, when a great restaurant is putting out a great event…we know before everybody else does," says Mobayeni. Down the road, she envisions BentoBox becoming a place where chefs and restaurant owners can congregate, connect, converse and share best practices, so that "somebody starting a restaurant in Texas" can get insight into the ingredients, equipment and processes big-name chefs like David Chang, Danny Meyer and Jean George use in their kitchens.